NICCY seeks to promote the participation of children and young people in many areas of life in Northern Ireland. It will acknowledge good practice and encourage all organisations to take participation with children and young people seriously. There are many ways in which children and young people can be encouraged and facilitated to have a more active and affirmative role in their communities. Greater recognition and implementation of National and International policy and legislation could offer a real opportunity to benefit the lives of children and young people. 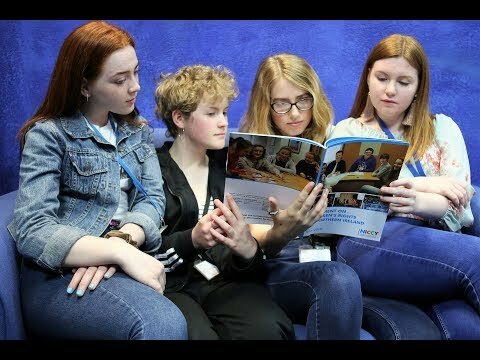 With so many public services impacting on the lives of children and young people it is essential that young people are involved in any proposed changes to services and be encouraged to contribute to decision making in health, social services, education, justice and other areas that affect their lives. In the absence of government having a specific policy or structures in place to ensure that children and young people are involved and have a say in decisions that affect them, NICCY has been undertaking a series of strategic initiatives to move this forward. The first of these was to develop the Participation Policy Statement of Intent (PPSI) initiative. The purpose of this was to act as a guide to support government departments and public bodies in the development of their own participation policy and practices. Eleven out the twelve Government Departments endorsed the PPSI. Two years later NICCY carried out a follow up review, with all government departments, to see if there was any improvement as a result of them signing the PPSI. Following NICCY’s own analysis of the PPSI review, we provided feedback to each department, highlighting positive actions and areas for improvement. Most recently, NICCY’s ‘Walking or Talking Participation?’ report highlighted a dearth in Departments being able to monitor, evaluate and evidence the impact of their participation with children and young people. Since this publication, a number of recent developments have created a unique opportunity to create an impetus for change and progress. For example, the Children and Young People’s Unit’s commitment on participation with children and young people and development of a new Children and Young Person’s Strategy; the UN Committee’s Concluding Observations; the Local Government Reform and Community Planning statutory guidance; the potential of the NI Youth Assembly in line with the UNCRC Concluding Observations; the single Education Authority; Development of the Network of Networks; Pupil Participation – the Minister reviewing NICCY/Northern Ireland Youth Forum report and the new National Participation Strategy in the Republic of Ireland.